Porsche has a reputation for style and power; however, safety is one of the most important aspects of any Porsche’s performance. The highly rated 2019 Porsche Cayenne delivers advanced safety features that not only help to protect drivers before, during, and after an incident, but enhance performance as well. 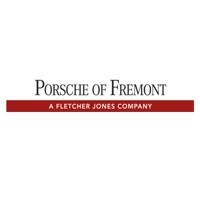 Explore some Porsche Cayenne safety features here, then schedule a test drive at Porsche Fremont near San Jose! Adaptive Cruise Control – Takes the intake monitor speed and proximity to objects in front of the vehicle into account, and automatically brakes to keep a predetermined distance. Lane Keeping Assist – Provides steering assistance to help keep drivers from straying outside their lane. Night Vision Assist – Uses a thermal imaging camera to help drivers see what’s happening beyond the range of the headlights, allowing them to navigate dark roads more easily. Collision and Brake Assist – This system alerts the driver both audibly and visually when it detects possible collisions with other cars or pedestrians. Traction Management: The Porsche Traction Management System with active all-wheel-drive includes an electronically variable and map-controlled multi-plate clutch, Automatic Brake Differential, and Anti-Slip Regulation for superior handling in all conditions. Advanced Lighting: LED headlights with optional LED matrix beam, LED taillamps, and optional Porsche Dynamic Light System Plus make it easy for the Cayenne to see and be seen in precarious weather—even heavy coastal fog. Drive Through Redwood City Confidently with the New Cayenne! The above lists just barely scratch the surface of the 2019 Porsche Cayenne SUV’s safety features. Whether your commute takes you to Menlo Park or Saratoga, the Porsche Cayenne SUV has you covered. Compare the Cayenne against the BMW X5, then contact us or visit us in Fremont to learn more about the Cayenne performance, price, and interior features.